The Ledger class may officially be over, but I am continuing to work on the pages already started, and will be doing more. The first thing on my list, was to do some cover pages. 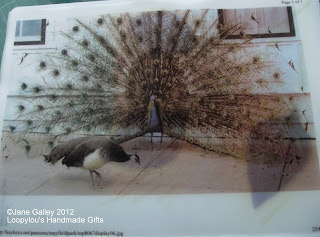 First, was the peacocks. All I've done here, is print a photo from the Internet onto parchment. This means you can see through to the page underneath. I did the same with a paisley pattern. This time, I did a fainter print, so the underneath page is more visible. 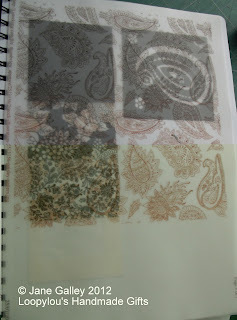 As you can see, there is going to be an addition to the paisley page before it gets inserted into the ledger. 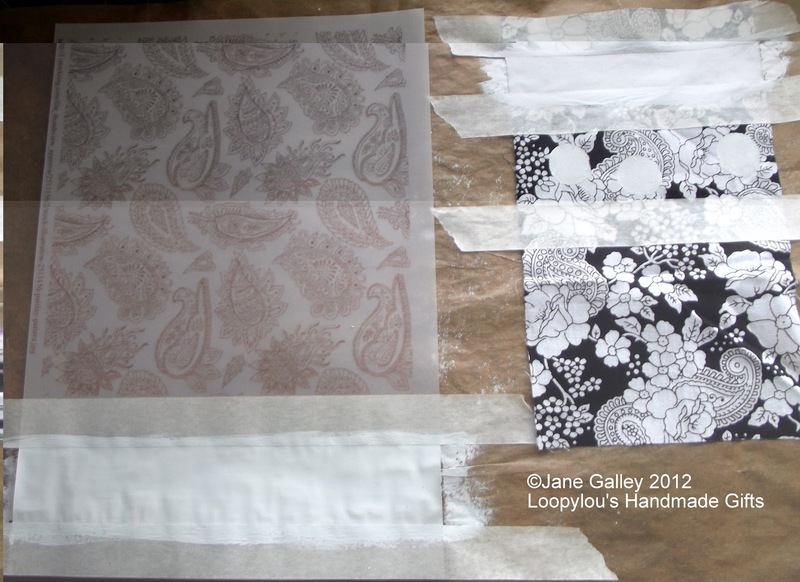 I like that idea of printing a pattern onto parchment. Very creative. Wow! 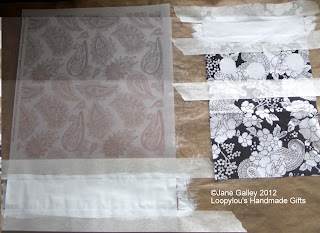 Now try some quilt blocks on the parchment! Awesome! So creative to print out patterns onto the parchment paper. I like that you can see through to what is underneath and still have a cover sheet that has design elements on it. Great job and I cannot wait to see what you add to it. What lovely work. I have just enrolled onto the class which is starting again in September. Seeing your work inspired me.